Why Pay More? Now You Have a Choice. UP TO 40% in SAVINGS! New and improved Unifine® Pentips® offer optimum quality and comfort, at a substantial cost savings vs. some leading products. 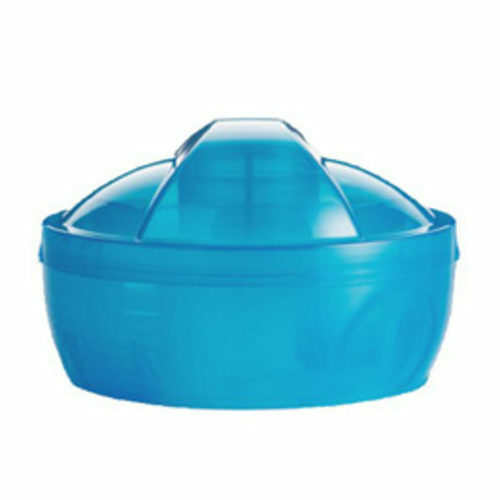 They meet user expectations for a more comfortable injection. 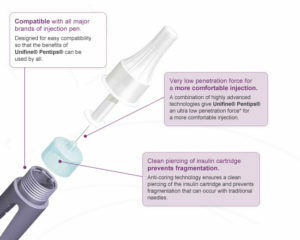 Unifine® Pentips® have been developed to give users the most comfortable injection experience possible. Triple sharpened, ultra thin gauge needles combined with anti-coring technology and advanced silicone provides users with lower penetration and glide force when injecting.